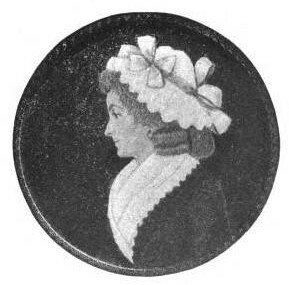 Jean Mathias Loras who was guillotined at Lyons, November 9, 1793. The days of revolution and schism were bearing heavily upon France, and the head of the Loras family had occasion to show of what stern stuff he was made. John Mathias Loras, the father of the future bishop [Bishop Loras, first bishop of Dubuque, Iowa], was imprisoned for loyalty to social order and religious unity. In vain his wife, accompanied by her eleven children, holding by the hand the youngest of them, Mathias, knelt before the chief agent of the revolution in Lyons, to implore mercy for the protector of her little ones; she could not stay the hand eager to slay. 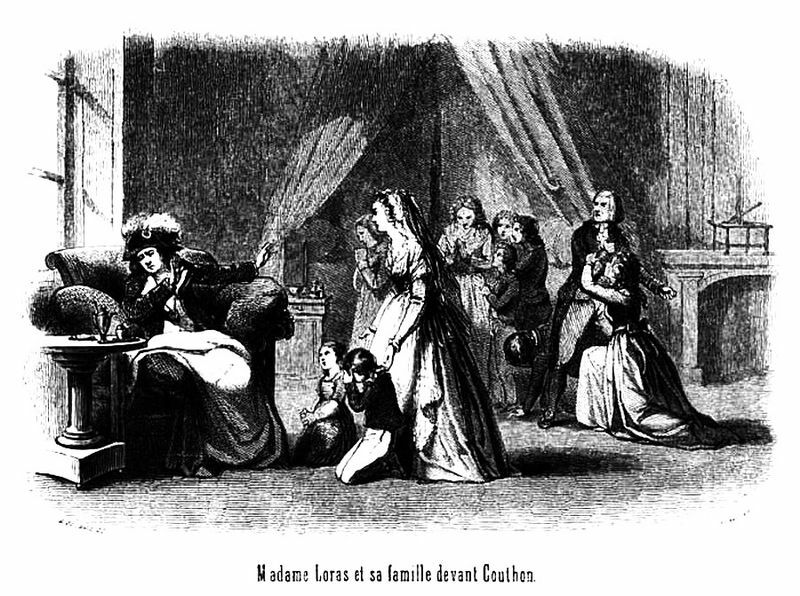 Madame Loras, with her 11 children, imploring Couthon to release her husband. 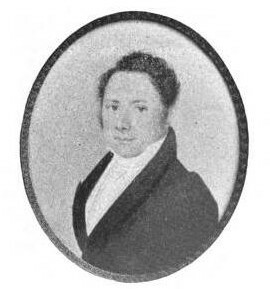 Bishop Mathias Loras, First Bishop of Dubuque, Iowa, whose family was murdered during the French Revolution. Bishop Loras died on February 19, 1858. A brother of John Mathias Loras followed him within a few days to the fatal guillotine because he, too, had upheld order and religion. Two sisters of Madame Loras died martyrs, their ” crime” being that they had concealed in their home faithful priests who would not submit to the schism imposed upon the country by the revolutionary government. Our future bishop sprang, indeed, front a race of saints and martyrs. After the death of Monsieur Loras the family possessions, which had been considerable, were confiscated, and Madame Loras was left without fortune and without helpmate to rear and educate her large family. Rev. Louis de Cailly, Memoirs of Bishop Loras, First Bishop of Dubuque, Iowa, and of members of his family from 1792 to 1858 (n.c.: Christian Press Association Publishing Co., 1897), pp. xiv-xvi.